Abyss Scuba Diving held their months Awards night at St George Sailing Club on the 15th September. These nights consist of Abyss recognizing and celebrating those divers who have achieved a prestigious certification or highly recognized diving achievement. 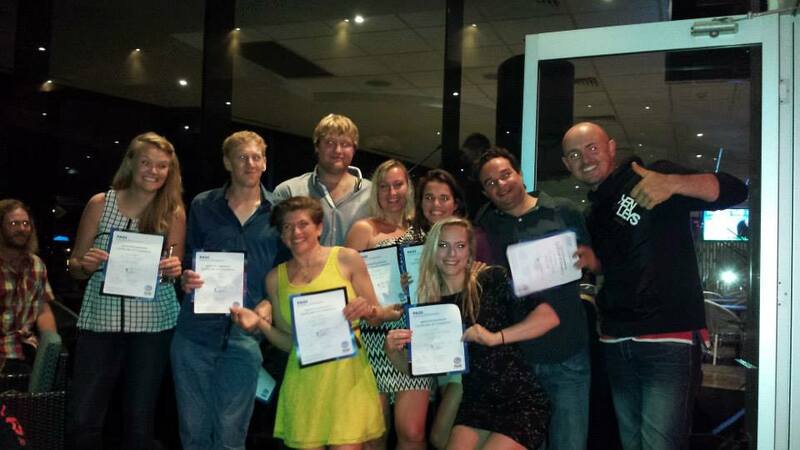 This month we celebrated our brand new instructors who had passed their Instructor Examinations (IE) earlier that day. 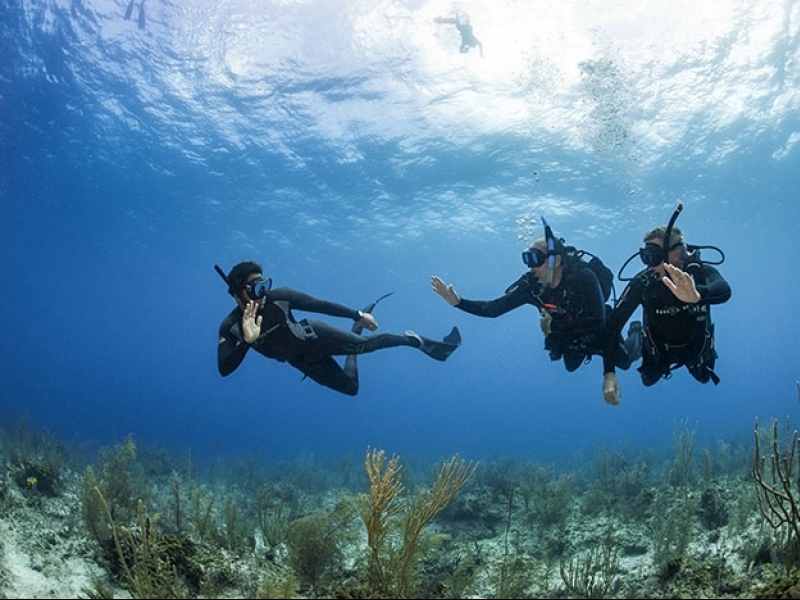 To become a PADI instructor, candidates must first off attend their Instructor Development Course (IDC). The course itself goes for two weeks full time with our Platinum Course Director Carl Fallon. 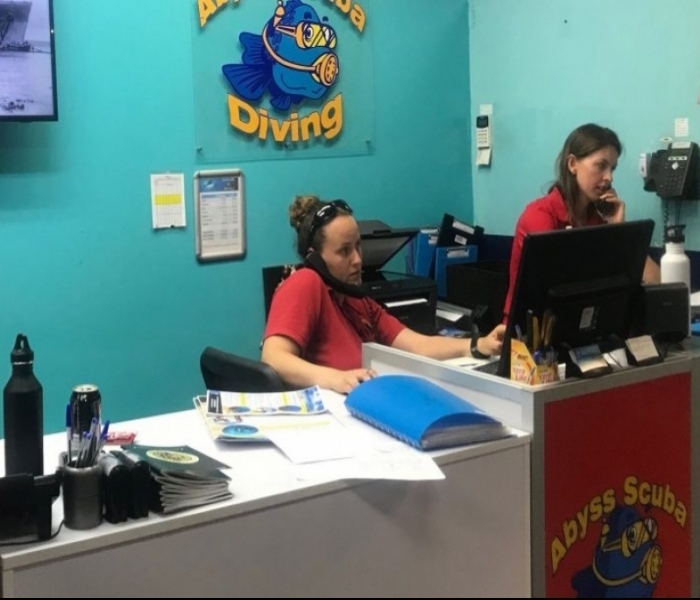 The course consists of developing candidates diver theory, knowledge, PADI standards, and practice presenting classroom presentations to students, as well as practising confined water and open water skill development with student divers. The course itself is a lot of fun and extremely rewarding. The two weeks helps prepare candidates for their Instructor Examinations (IE). The IE goes for three days and covers all theory developed throughout the IDC. Candidates are required to pass four theory exams covering knowledge in physics, physiology, equipment and PADI standards. Candidates are also required to present classroom presentations, confined water presentations and open water presentations. The candidates on this particular IDC were extremely prepared prior to their IDC with Carl, and their preparation definitely helped them fly through the course and exams with amazing results. A huge congratulations to; Nicole Austin, Kara Owens, Santiago Acevedo, Peter Roberts, Kristen Casalenuovo, Steve De Villers, Nadine Huth and Tara Hore. We are very proud of your amazing results and look forward to teaching with you all. Star Instructors!